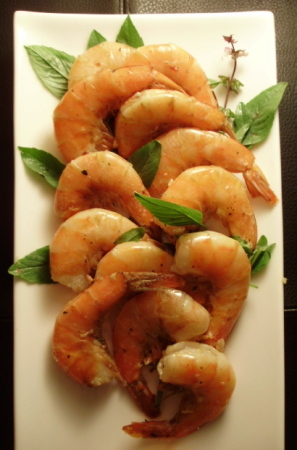 In a large, non-reactive dish, toss shrimp with sherry or wine. Season with salt and white pepper. Sprinkle with cornstarch and toss to coat well. Marinate for 15 minutes. 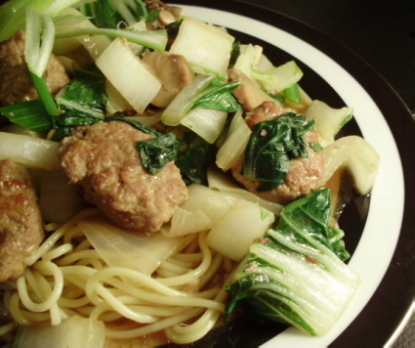 In a wok or large Dutch oven heat 2 tablespoons oil over high heat. When shimmering, add shrimp, in batches, cooking just until pink and curled. Remove immediately to avoid overcooking. Heat 1 tablespoon vegetable oil over high heat. 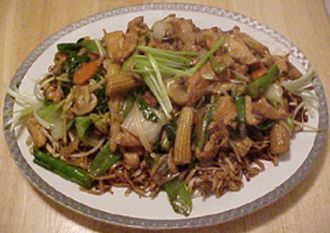 Add onion, carrot, celery and mushrooms, stir-frying until slightly fragrant. 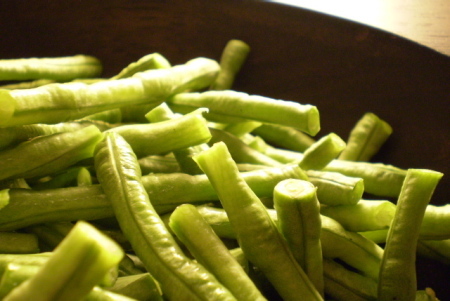 Add sugar snaps and garlic. Toss to combine, adding additional oil as needed to avoid scorching and to maintain sheen. Add chicken stock, soy sauce and brown sugar. Bring to a boil. Add cornstarch slurry, and return to a boil to thicken, stirring constantly. 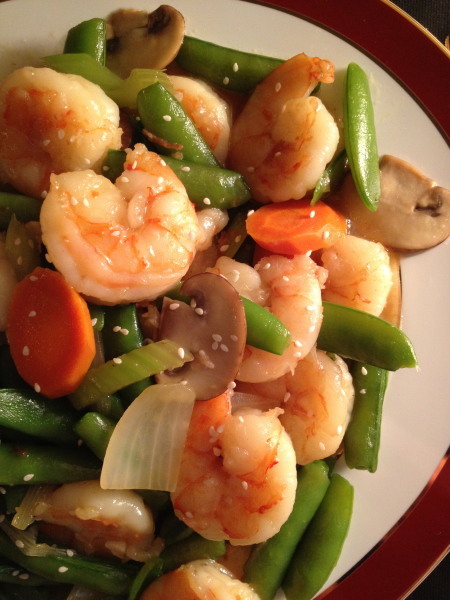 When peas are just tender, add sesame oil and shrimp, stir, heat through and remove to a platter. Sprinkle with sesame seeds and serve at once.